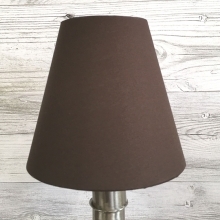 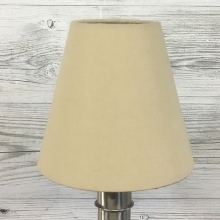 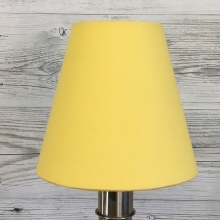 Bring a fresh look to any interior with this made to order cream cotton candle shade. 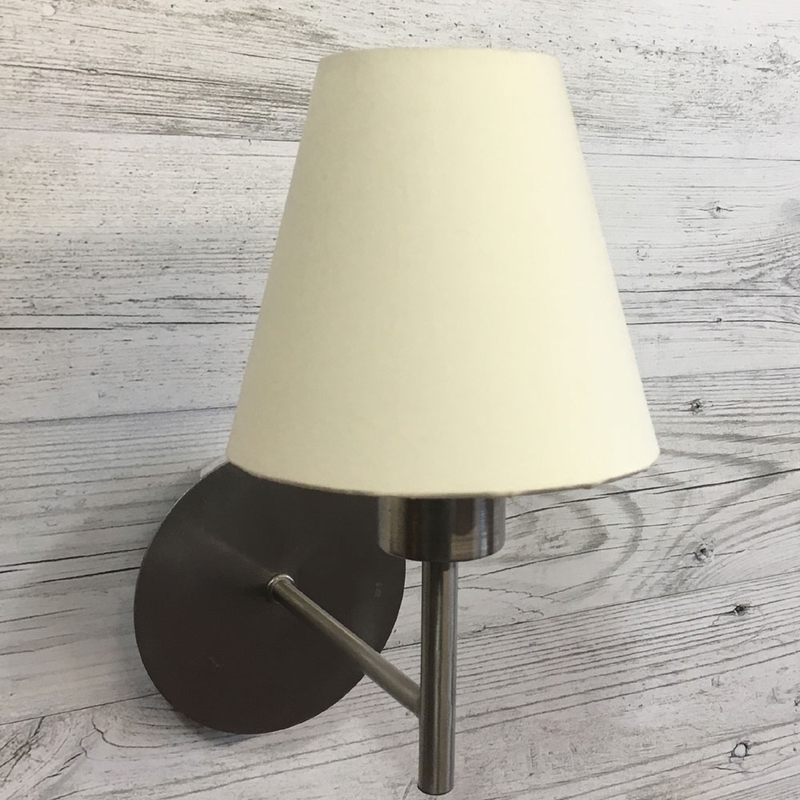 This empire candle shade has a hand rolled edge which compliments the shade. 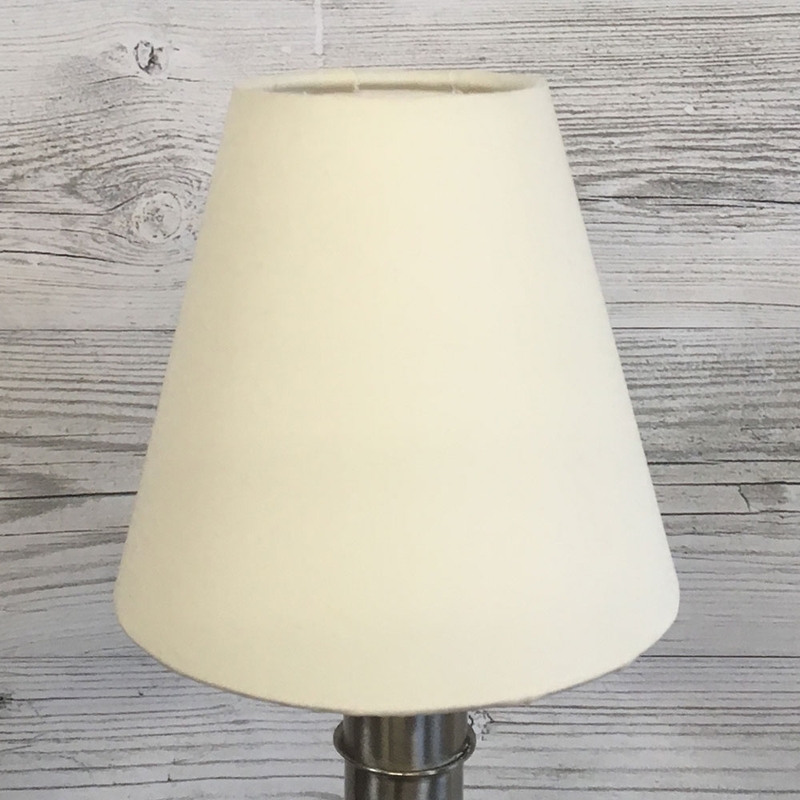 Lined in white PVC, the candleshade is also supplied with a bulb clip fitting.